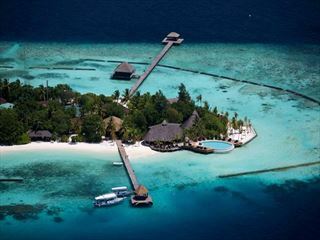 W’s inimitable lifestyle concept has arrived in the Maldives: cool, contemporary living in a back-to-nature environment, enhanced by ‘whatever you want, whenever you want it’ – the group’s clever wish-fulfilment service. 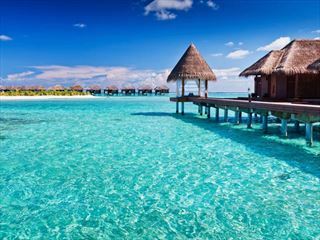 Gleaming white sand and calm turquoise waters are the setting for the resort’s collection of overwater and beach accommodation. 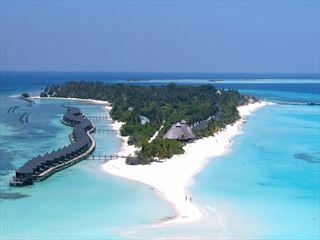 Traditional Maldivian exteriors conceal sleekly designed interiors with all the modern gadgetry you could possibly need. Each features spacious indoor and outdoor living areas with Bose sound system, 42in plasma screen TV and DVD, plunge pool, daybed, tropical outdoor shower and a barbecue for private dining. Take tropical paradise to the extreme in the Ocean Haven - the ultimate over-water getaway and total chill-out arena. An oversized infinity-edge plunge pool with Jacuzzi seats, wraparound sundeck, huge master suite and junior suite with panoramic views of the Indian Ocean all set the stage for supreme relaxation and decadent entertaining. Beyond the beach and main pool, facilities include Sweat, a state-of-the-art fitness centre; water sports including kite surfing, water skiing, windsurfing, canoes, big game fishing, hand-line fishing, snorkelling, catamaran sailing or wake & knee boarding at Wave and the Down Under dive centre. Indulge in ultimate relaxation at the over-water Away Spa. Indoor and outdoor treatment areas allow for total privacy and complete renewal. Dedicate some time to your well-being and comfort with a natural healing therapy performed in one of 4 luxurious treatment villas. Have a massage, wrap, or facial under the Dhow-inspired sunshade and stretch to the panoramic horizon with twice-daily yoga sessions in the pavilion. Relax on the wraparound sundeck with over-water bathing, outdoor rainforest shower and expansive day bed for sun-soaking, lounging and treatments. The resort’s three restaurants and three bars are as imaginative as you would expect. Fire is reminiscent of a casual jungle barbecue; Kitchen reinterprets modern bistro food and the romantic overwater Fish serves local seafood with an Asian twist. Stake out a lounge booth with cosy divans at 15 Below and enjoy tasty drinks by the bottle or shaker. Lounge on a divan, savor light bites, and enjoy your prime view of the dance floor where beautiful people and projected images move to the DJ’s trance grooves.